Posted by Aimee J. August 4th, 2014 | Comments Off on Interview with @HavenHerald! It’s here! The first interview from my Haven-ly friday. Like she said in the interview, if there is something you want, let Haven know via social media because they are listening. Aimee J.: Hello again, Havenites. 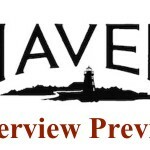 This is Aimee J. coming at you with an interview, also done during San Diego Comic-Con weekend on that Friday, July 25th with the team behind @HavenHerald. In the past, Haven has had numerous social media accounts: you know, DarksideSeekers; Vince and Dave had their own accounts; and now @HavenHerald. 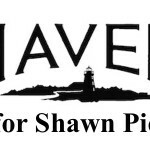 @HavenHerald being the official Haven Twitter account, and also on Tumbler and on Haven on Facebook. And so I had the chance, along with Amy S., to speak with @HavenHerald and get a little idea of what’s going on, and what we can expect for the upcoming season. Aimee J.: … And he was the nicest guy and so you guys announced yesterday that the deleted scene was out, right? And so I’d already — we’d already — gone to the booth, seen it there, took a picture; it was chill. And then I got tweets all of a sudden and it was like, you have to go back. You have to see this — it’s there. Wait, it wasn’t there when we were there; I didn’t see it. Well, because they were, they were filming — uh, was Comic-Con on the DVD? @HavenHerald: Uh, yeah. Well they…. Aimee J.: Okay, so Comic-Con then was there so I just thought they were showing other Comic-Cons. So I went back and I was like, “Hey!” So I was told to come back ’cause there’s no way of seeing then, couldn’t see it. But okay, cool. Nice guy, he finally figured out how to do the rope. He switched it so I could see it. Aimee J.: So I was like, well, this is neat. So I tell, you know, it is on there, it’s great, I think we’ll all enjoy it. Then they’re like, well, what does it say? Aimee J.: So like, okay, now you’re just gonna have to wait. Aimee J.: ‘Cause I have no idea what it — I don’t read lips. @HavenHerald: I haven’t even seen the scene yet, so…. @HavenHerald: No, I just have seen the scene grabs. @HavenHerald: Like that’s max. Hopefully I’ll be able to get this like Season 4 DVD maybe a little bit early, but I don’t know. @HavenHerald: Um, I know, I mean Wally (who I told you about) is the guy who’s like in charge of all of things DVD. We kind of talked about what was gonna go on the DVD about a month ago, but he is not telling me anything. Amy S.: I think you’ll be surprised then. @HavenHerald: It’s like, uh, come on, I want to tell something but… oh, well. Aimee J.: It’s actually funny ’cause when we were talking with Shawn Pierce, he was saying the inference of social media and what it does. And how he is kind of realizing that and I think yeah the fans are so local. Aimee J.: On it now. @HavenHerald: It’s really, yeah. Um, and that’s part of the reason like so I just came to Pillar Seeking Shepherd about two and a half months ago. @HavenHerald: Um, so I’m new to this whole Haven world. But I got in touch with Lloyd Segan who is the executive producer. We’ve known each other a little bit, but I basically told him, Hey, your fans are going crazy on social media, and you don’t have any accounts, like verified accounts, on social media. That’s kind of a problem in my opinion. Aimee J.: I’m glad you said something! @HavenHerald: Yeah, and it was really just a problem of there was no one to do it because up until now really Nick, who you’ll talk to later, was writing and doing all this and trying to keep up with it, but not really. And then as far as the cast goes, the cast is relatively good when it comes to social media, but it’s easier for them to have stuff drafted up for them so we can just say, Hey, can you tweet this; can you talk about this? @HavenHerald: ‘Cause they also are working ridiculous hours. They’re working right now; they’re doing a double season, pretty much. Um, so yeah, it’s — my job is basically to talk to the fans, and…. Amy S.: Well it’s so important these days, so you know, it gets ramped up. Every year, it’s more and more important, it seems so…. @HavenHerald: Yeah. Yeah. And that’s the world I come from. I come from social media, not from SyFy. Me, um, yeah. So before this I was doing mostly comedy social media stuff, but this is even cooler because there’s actually — in comedy, there’s not really spoilers or there isn’t really like cliff-hangers, but this, it’s like you can really build up the anticipation. Aimee J.: And I knew it’d be cool ’cause, um, I think I asked Nick, but it’s in Season 2 and Season 1 — and Season 3 — you know, there was a social media presence. So there’s like DaveHaven, was it? Amy S.: Yeah, whenever Dave and Vince got the Twitters and they did the story line on Twitter, yeah…. Aimee J.: It was fantastic that, and you know, we could just kind of see if there was some contests, there was some drawings, you know and it was great. And then, so Season 4 kind of got off and also at the time, you know, he’s became a writer. And so, it’s hard. @HavenHerald: Yeah, he was script coordinator for seasons 1 through 3, I think and then he became an actual writer. Aimee J.: And it takes time and I think we appreciate the writing over that. Amy S.: Yeah. Yeah, absolutely. @HavenHerald: And Nick, I think he’ll probably talk about this; I don’t know how much I can say, but he, with the Season 4 DVD is his exclusive comic book that Nick wrote, and Stephen King I think himself, like, said he loved it, so…. Aimee J.: Oh, that’s awesome. Amy S.: He wrote the Season 3 comic book, too, yeah? @HavenHerald: Yeah. So, it’s gonna be, from what I’ve heard, it’s gonna be really cool, so…. Amy S.: And just the beginnings, right? Isn’t — I saw the title on your, on Twitter this morning. It’s called like “New Beginnings”? @HavenHerald: No, no — I don’t know if I’m supposed to say that. Amy S.: No, we found some sketches of it online so…. Aimee J.: Fans are good at finding information. Even if you don’t — like, How do you even know that? @HavenHerald: Because I don’t know most of this. Like I, like people tell me stuff and I’m like, Oh, was I supposed to say that? [laughs] Like, for example, a couple of days ago, it was the day before we launched Twitter. Um, the SyFy account — like the main @SyFy account was doing a Q&A and they, somebody asked about Haven Season 5, and they tweeted “You’ll see a trailer on July 31st.” And I was like, You will? or, We will? @HavenHerald: So then I talked — I was like, and Lloyd the executive producer was walking by my office. So I was like, Hey, Lloyd, did you know that we were doing a trailer in a week and a half? And he was like, No — who said that? I was like, Well, somebody said it to two hundred thousand people. I don’t know, that’s…. I mean basically, we were like calling — that was the most stressful hour of my life because I was doing like four other things, but…. Aimee J.: And then you have this information that’s out there. @HavenHerald: Yeah. It’s out there; it can’t be deleted because that would just be stupid to delete that because it is true, but now it’s like, okay: that means we have to rework all our deadlines, pretty much, to match up with this trailer. So…. Aimee J.: Which was announced now in public… Yeah, and fans will hold onto that ’cause I think there’s a countdown. Amy S.: At least the fans that we interact with, I know. Aimee J.: Yeah, I mean, I’ve seen it on the Haven tag, so…. Aimee J.: It’s like, wait — what? ‘Cause I had missed that. I was like, wait — there’s a trailer? What are you talking about a trailer? Amy S.: Yeah, and Ted tweeted it out a couple times now. Amy S.: The @SyFy guy, so… yeah. Aimee J.: Everyone will remind me. I’m like, Oh, okay. It is. @HavenHerald: And Ted, it’s like…. Amy S.: Don’t want to miss it! @HavenHerald: Ted is like this big name. I’ve never met Ted before, but it’s like, and I’ve never been formally introduced to him, but we like email sometimes. And it’s just, he signs all his emails “Ted.” And I’m like, dude…. @HavenHerald: I’ve never been formally introduced to you and you’re just referring to yourself as “Ted”; that’s fine. Aimee J.: He’s actually, he’s a Comic-Con. I’ll take a picture of the account. @HavenHerald: This is Ted. He’s not this imaginary figure. Aimee J.: That’s who it is. Aimee J.: Yeah. That way you can have an idea. Aimee J.: So you have most of the questions that I have sent, so…. Aimee J.: I mean, we can go back and forth. Do you have…. Amy S.: I just made some notes. That’s why I pulled my phone out, ’cause they’re on here, but…. Aimee J.: Okay. And I figure we’ll just kind of go with how our thing is, back and forth. Aimee J.: And at the end, um, I have this quick little word association game. You pick which one you prefer. Aimee J.: It’s not hard; it’s just ten. Aimee J.: Shawn Pierce survived; you, too, can survive. @HavenHerald: Okay, hopefully I’ll sur–, yeah okay. Aimee J.: Now, question is: do you have the same taste as him? I don’t know. @HavenHerald: Yeah, like I said, I come from a comedy background, not SyFy, so I’m kind of SyFy deficient. Aimee J.: Nothing SyFy related on this test. Aimee J.: So I think you’re safe. Aimee J.: We’ll find out later. So, given that you’ve now joined the show Haven…. Aimee J.: And you were just talking about how you’re SyFy deficient, but because Haven is so trouble-oriented, what would you say is your favorite trouble? @HavenHerald: My favorite trouble was actually the first episode, the pilot episode, which is — actually, we’re going to be doing — I can’t really spoil too much, but we’re going to be doing something with the pilot episode. @HavenHerald: In preparation for the fifth season. Um, but yeah, the first episode, the woman who can change the weather based on her mood…. @HavenHerald: Is my favorite just because it’s where everything started and it just, it’s the one that I’ve watched the most; it’s the one that gets giffed the most on Tumblr and I just, yeah, I just, I think it’s so cool. I mean, especially the graphics and stuff that they used for it; it’s really cool. Aimee J.: Well, I think we enjoyed the fact that you guys came back to it in Season 4. Amy S.: Yeah, that was good. And I think a lot of it’s like that, too, ’cause it’s the inaugural episode. I mean, come on, that’s — you know…. Amy S.: First episode of the series. You know, it’s a big thing. Aimee J.: I mean, that was one thing Shawn was saying was the pilot episode kind of sets the, sets how the show will go. Aimee J.: And you’re still trying to feel it out, and I think — yeah, between the music and between what that trouble was. @HavenHerald: Yeah, I think it set a good tone for the show. And yeah, like I said, we’re — I’m trying, I’m championing, trying so hard to so something real exciting for this. I’m still working out logistics. It’s annoying because Chester is 4 hours ahead of us so talking with the cast is kind of difficult because obviously they have their filming schedule and they’re 4 hours ahead of us. Um, but yeah. Aimee J.: So what you’re saying is you’re working on something? @HavenHerald: We are working on something. We don’t know officially what it’s going to look like… yet. I have an idea; the cast is going to put their own spin on it. Aimee J.: Fair enough. We’ll leave it at that so that nobody has any false expectations with that. Aimee J.: And you, Amy? Amy S.: Oh, just in general or? I don’t know, like I was going to tell you I love the SyFy Sync. Do you know if you’ll be doing that again this season? The Sync app or is that not your area? @HavenHerald: That’s SyFy. That’s whether or not they’re going to do it. Like I said about the whole Ted thing: they kind of announce stuff to us. If it’s something that the fans want, I can definitely champion for it; I can tell them to do it. Amy S.: It’s just some really good behind-the-scenes info, some tidbits the writers…. Amy S.: The cast, the writer who wrote the episode writes some little insights to, and we’d get it in the Sync app. @HavenHerald: Funny you should say that. We’re planning on doing stuff on social media that basically is that. Amy S.: Oh, that’s awesome. @HavenHerald: So, but it’ll be our… we will have creative control over it, as opposed to having it go through the network system. @HavenHerald: So, that’s what we…. Aimee J.: That’s exciting. So, okay fans, if you want SyFy to do something similar to SyFy Sync that they did before then we should let you know. @HavenHerald: Yes. Let us know because we have a little bit more creative freedom when it comes to this stuff. Yeah, so I can — I think you guys noticed this morning, I was going crazy on Tumblr and Twitter. I can just… when something comes to me I can just go d-d-d-d and…. Aimee J.: And that’s actually a very good point. So recently, there was some confusion about the different media accounts that there are ’cause there was Dave — is it DaveHaven? That was before VinceHaven, there was one. Amy S.: Yeah, Vince became DarksideSeekers and now that’s…. Aimee J.: So for the record, what are the official accounts? Let’s go with first Facebook. @HavenHerald: That’s the official account. Aimee J.: But that’s it? Is there any others? Aimee J.: Okay. For now. @HavenHerald: That will change in a week. Aimee J.: But if that changes, one of those that we just talked about will announce it? @HavenHerald: Yes, they’ll all be announced on all those sites. Amy S.: What about the Facebook announcements where you have to be logged into Facebook to open the link? Is that a standard? Or can that be changed, or? @HavenHerald: Um, I think you need to have a Facebook account to get — Facebook is weird like that. You have to have a Facebook account to see Facebook content. Which is why Facebook isn’t used so much anymore. The rules say that anything that is posted on Facebook will be posted on Tumblr. @HavenHerald: And it will be posted on Twitter as well, but obviously you can’t post as much. Yeah, it’ll be a link to whatever and… yeah. Aimee J. (mostly): So that’s great. So what you’re saying is that because it’s going to be accessible on Tumblr, that our worldwide fans — ’cause we have friends in Canada, Brazil, France, the Netherlands, they’re all going to be able to access us through Tumblr. They’re limited — geo-limited, I guess — through Facebook. Fans sort of complain — on Twitter, at least. Amy S.: They feel like they don’t have access to the content because geographically they are blocked on Facebook. Aimee J.: So there’s your feedback. @HavenHerald: Okay, great! So I mean I am a Tumblr person by nature so I am…. Aimee J.: I feel like we sort of win today. Amy S.: It is GIFs! @HavenHerald: It is GIFs – it’s juicy program misused, GIF. Aside from Haven which I’m going to be making, we’re going to be posting our own Haven GIFs and there’s going to be a schedule along with that. I right now, for my own personal stuff, I make upwards of 30 GIFs a day, so that’s my area that I love, and I love to do that. Amy S.: I love getting the content that’s official from the show and, you know, from this office. Love the official stuff. Aimee J.: So can we expect that to continue into the new season, when Season 5 happens? @HavenHerald: Yes, definitely. I’ll continue to promote Season 5 premier and throughout it, and yeah. We have an official –or yeah, tentative (I always have to put the word “tentative” in front of everything we do.). We have a social media content schedule that goes through Season 5 so… What’s that’s actually going to look like, it’s…. Aimee J.: What can you tell us about the Supersized Season? @HavenHerald: I can tell you that right now we’re shooting 5-11, I think. We’re doing, I mean, basically it’s set up. It’s going to basically be two seasons. I mean, people are calling it a Supersized 5th Season, but really it’s going to be set up like two. So that being said, there’s going to be a 5A premier and a 5A finale, a 5B huge premier and a 5B finale. Amy S.: So it’s just like Seasons 5 and 6? @HavenHerald: Yeah. As like what do you want to know? Aimee J.: Whatever you want to tell us. I’m not trying to…. @HavenHerald: Um, we announced that there’s going to be a new recurring character, Laura Mennell’s character, who is a doctor from the CDC who’s going to come in. I would tell you what episode, but I don’t know which episode. Amy S.: Isn’t it like 5-09…? Amy S.: I think it’s 9. I think. @HavenHerald: Yeah, so it’s one of the eps — she’s coming. I think she’s on set today. I saw, retweeted a picture on Instagram from Shawn. Yeah. So she’s there; she’s working. Other than that, like I just, I mean really, the word “Supersized” I think gives it away. Like it just, the amount of stuff that we can do, I think we are doing. So that just means more for you guys and it also means that we can take requests a lot better because, well, I’m here so fans, if you want something, like tell me. Amy S.: I know like a lot of the fans at — or just seeing it looking at the Haven tag like Aimee said people are downloading your app, they always want (myself included) like new stuff, current stuff — what’s new today? Or is there any absence today? You know, they’re always thirsting for more info or more photos or video clips or just any little something. Amy S.: Or tweets from the cast or, you know. Aimee J.: I think if anything, fans are thankful that things have now become kind of official, that…. Amy S.: Yeah, the Twitter account is awesome. Aimee J.: The Twitter account has now been straightened out. But also that you’re doing things. You know, there was kind of that absence in Season 4 and the fact that you weren’t commenting. And there’s that “Is this the last season?” or whatever, doom and gloom and so people were like “Ah.” People have given up on Haven, and it’s like, Oh, when are they gonna promote? When is this gonna happen? And the fact that you’re kind of doing these social media things is actually reassuring. Amy S.: What about tweeting, live tweeting, during the episodes? Amy S.: Is the cast going to be able to do that since they’re still filming, or? @HavenHerald: Um, we’re working with them. I would say… yes, they will be able to do it. I don’t know. Most likely, one cast member will do it more than others. Amy S.: …or one cast member or…. @HavenHerald: And that will definitely happen, but whether or not we have how many of the cast members do it all the time…. It’s going to be different, so yeah. And also they, I think, once they’re done with 5A, I’m pretty sure they’re going to go on a hiatus from filming so whether or not that timing works out for the premier… It might; I hope it does, but we’ll see. Aimee J.: And filming 26 episodes back to back is daunting. I mean, that’s bigger than a movie. @HavenHerald: Yeah. It is. It’s, let’s see, so an hour… 26 hours of content. That’s not including the other content that we have. @HavenHerald: So, yeah. It’s big. But it’ll be, I think it will be really cool. Amy S.: Well, we can’t wait. Aimee J.: If you were in Haven and you were troubled, what do you think — ’cause most troubles are related, right? Isn’t that where it started? Amy S.: Well, they run in families. Aimee J.: They run in families…. @HavenHerald: They run in families. Amy S.: And they’re like, opposing. Is that what you were thinking? Aimee J.: Opposing and they’re kind of related, right? So somebody whose dad might have sound trouble, what would your trouble be? @HavenHerald: Well, my trouble would probably be, um, might get anxious, I probably would shake the earth. I’d probably cause like many earthquakes every time I get really anxious. Aimee J.: Well that’s just probably how a trouble would work for you then. @HavenHerald: Yeah. ‘Cause I, they said I have patience of a two-year-old so I just like d-d-d-d.
@HavenHerald: All of a sudden, the things start bouncing off the table or whatever. Woops. Aimee J.: There it goes. Aimee J.: Okay, so as I said, there’s that fast round thing — not fast round, but kind of a this or that section for you to choose. You’re safe – there’s nothing SyFy related on this. So, let’s see. You pick this or that, alright? Basketball or football? @HavenHerald: I’m from Pittsburgh, sorry! I know you like the Ravens. I’m from Pittsburgh; I can’t do it. Aimee J.: How do you… Okay. Coke or Pepsi? Aimee J.: Good call. Ice Cream or FroYo? Aimee J.: Ah, thank you. Summer or Winter? Aimee J.: Picked a nice place for it. Aimee J.: Superman or Batman? Aimee J.: Okay. IOS or Android? Aimee J.: Books or movies? Aimee J.: Huh. Okay. I’m trying to remember what Shawn had said and it’s kind of similar, some differences but very cool. So thank you so much, for your time, for allowing us to come here and talk to you guys. @HavenHerald: I’m just going to go back on Tumblr. @HavenHerald: That’s what I’m going to go do right now, so…. Aimee J.: And there you have it, folks! 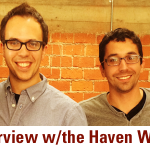 That is our interview with the team behind @HavenHerald. Hopefully you enjoyed it as much as we enjoyed having it. And remember what she said: if there’s anything you want from the Haven team, especially related to social media, let them know. Contact them through any of the official accounts that they have set up. Okay? Until next time, peace. 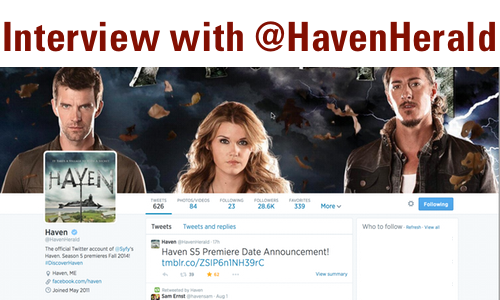 This entry was posted in General, Interview and tagged Tagged: havenherald, interview on Monday, August 4th, 2014 .